Wow! 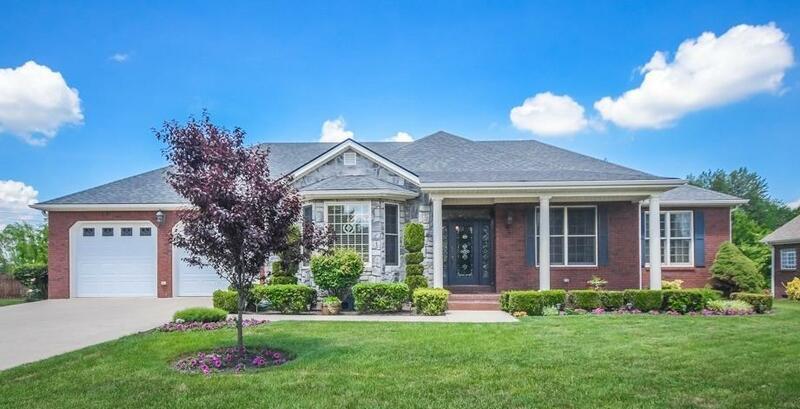 Stunning brick ranch with updates too numerous to list! This all brick ranch with 3 bedrooms and 2 1/2 baths is perfect for the home owner who loves to entertain. Open floor plan with a gourmet kitchen that includes a double oven, vented stove top, and an abundance of custom built cabinets. The kitchen also includes a built-in desk with file drawers and mail cubbies. The formal dining room has a butler's pantry with copper sink and glass paneled cabinets. The covered brick patio looks out to a lush, private, fenced backyard with fountain. Last but not least is the 12 X 20 workshop with 220v electric service - this room is not included in the home square footage. Don't miss out on this gorgeous home! Miscellaneous: Foyer, Master Bdrm 1st Flr.